As I have immersed myself more and more in knitting, I have become more interested in Elizabeth Zimmermann and her books. She was a clever woman and a generous teacher. One of my dreams is to go to Knitting Camp some day. Until then I have decided to apprentice myself to the knitting projects of EZ, working the projects of Knitter's Almanac (KA) in the appropriate month for the next year. 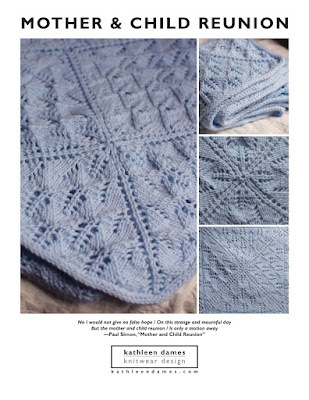 I also plan to knit through Knitter's Workshop (KW). September is the KA Nether Garments project, so there will be a pair of longies/knit pants, probably for Penelope, as she is the smallest member of the family (there are four birthdays, not counting my own, in the family in September, so I have to cherry-pick where I can). For KW I've already knit the first project, which is a basic hat with some colorwork thrown in for excitement, knit in cozy Ultra Alpaca from Berocco (a leftover from Nick's Cobblestone Sweater two years ago - love marinated yarn from the stash) and a smidge of light grey Alpaca from Plymouth Yarns (a leftover from a February Baby Sweater). The hat took just two nights and will make someone warm - Nick wants his new hat plain, no colorwork, please.